Rae Cashman presents the May showcase at the Guild Office at 10am, Friday 2 May 2008. 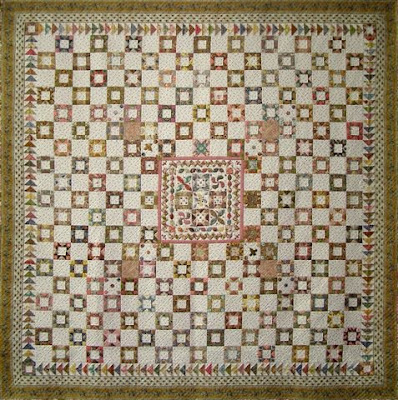 Rae is a longstanding member of the Guild and has shared her traditional-style quilts at the Sydney Quilt Show more than 15 times. Rae is also a "drop off lady" for the Quilt Show - just one of many vital volunteer roles that help make the quilt show happen. If you are able to assist with white glove duty, catalogue sales, raffle tickets sales, on the membership desk or in the Treasurer's office, please complete and return the Volunteer Form to the Guild Office.